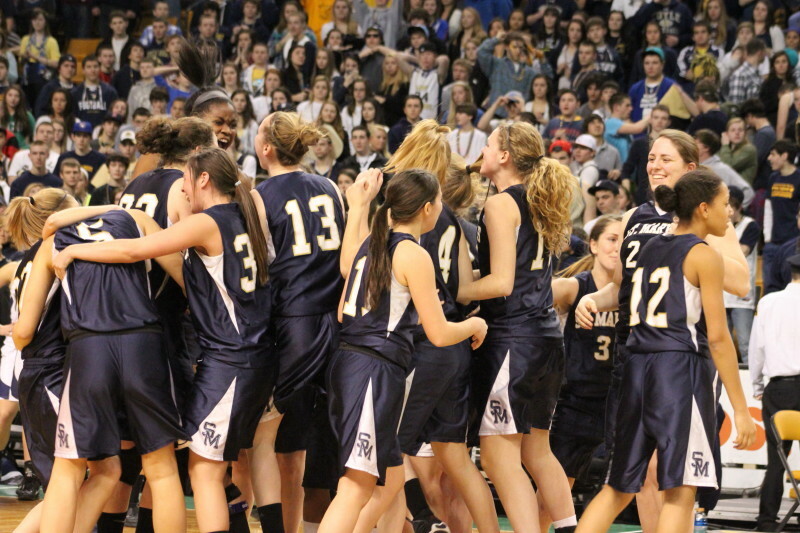 St. Mary’s celebrates their state semi-final win. 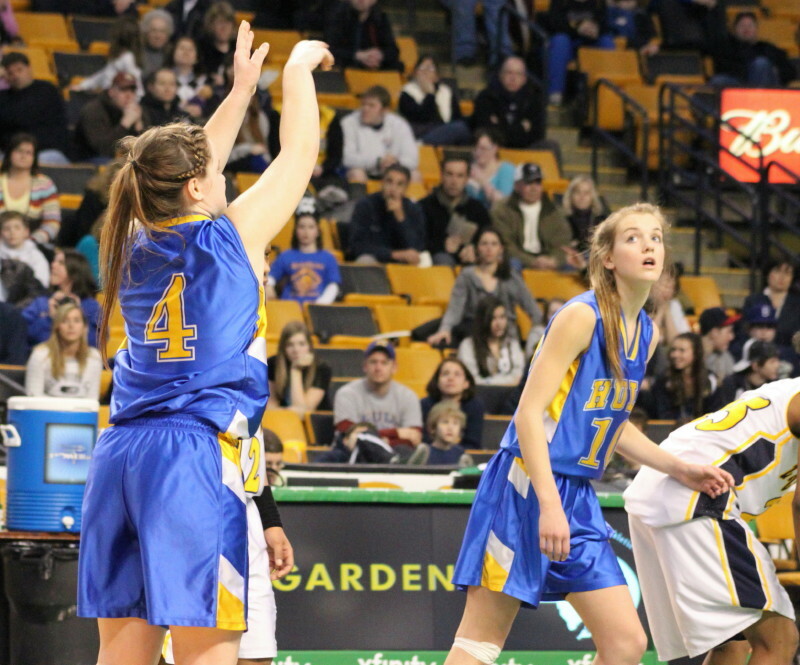 (Boston) St. Mary’s of Lynn reached the state D3 finals but it wasn’t easy at the TD Garden for them last night. The Spartan girls led from beginning to end but there were numerous times when the perpetually rallying Coyle and Cassidy squad had the ball and were within a made basket of tying the game or getting a lead. 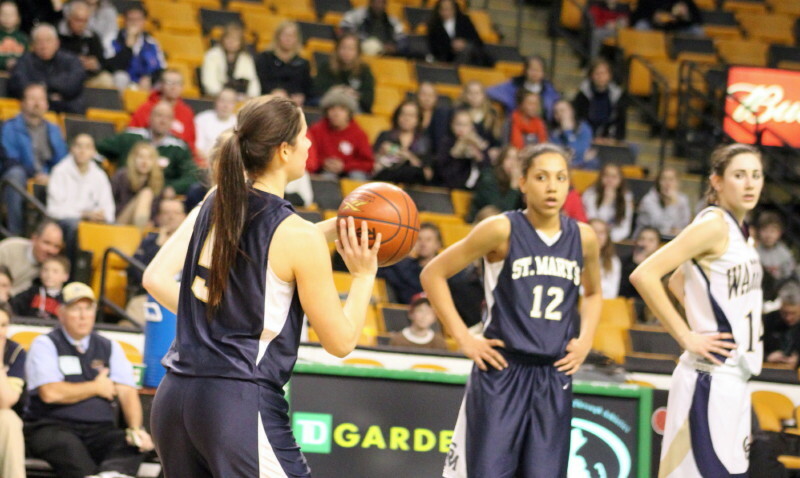 St. Mary’s (23-4) won 53-50 and will advance to Saturday’s championship game in the DCU Center in Worcester. 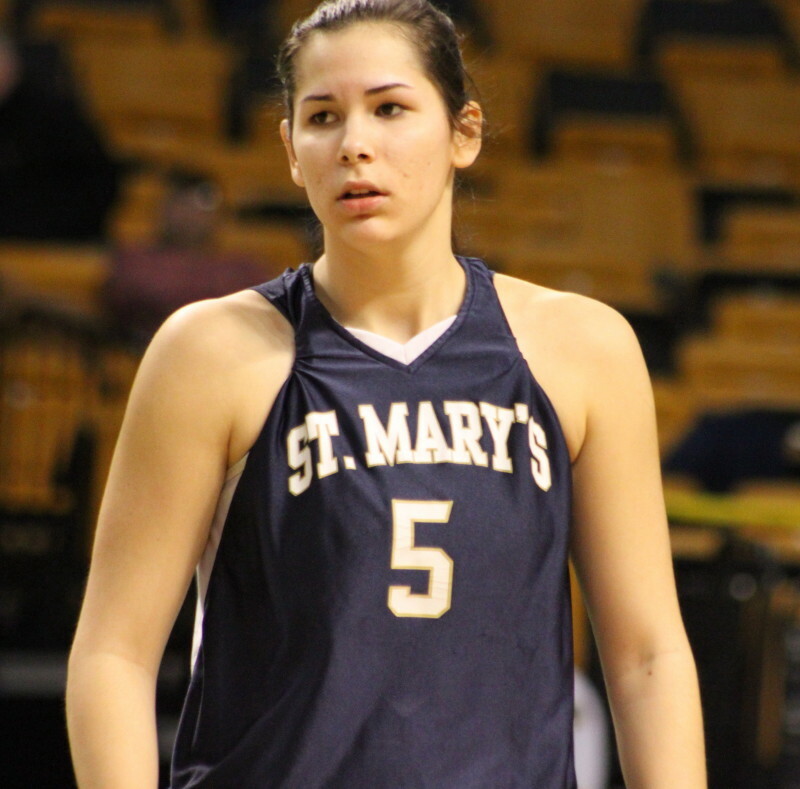 Cassi Amenta (19 points) turned out to be the late-game star for St. Mary’s by surrounding a Brenna Gonsalves three (the talented senior had 25 points) with two free throws before and after, in the last seventeen seconds of this crowd pleaser. The second pair gave the Spartans a three-point cushion (53-50) with 3.8 seconds remaining and left little time for Brenna to get close enough for a last-second, backcourt heave that had much of a chance. When Brenna’s shot fell short, the Warriors (22-3) could only look back and wonder if things would have been different if they’d been the ones starting fast. The Spartans turned the ball over the first three times they had it (25 turnovers in the game) but then put up points in their next five possessions to get ahead, 9-2, after 3 ½ minutes. St. Mary’s showed in this run that their size was going to be trouble for Coyle as 6-2 Tori Faieta (11 points) and 5-11 Cassi Amenta had two inside scores. The Warriors rallied back to contention, as they did all night, and trailed 22-19 at halftime. The Spartans had yet another fast start in the second half putting a 9-3 segment in place. Freshman Jennie Mucciarone notched St. Mary’s only three during a run that gave them a 31-22 edge after three minutes. St. Mary’s still was in command at the quarter’s end, 37-29, and 2 ½ minutes into the 4th quarter, 40-33. 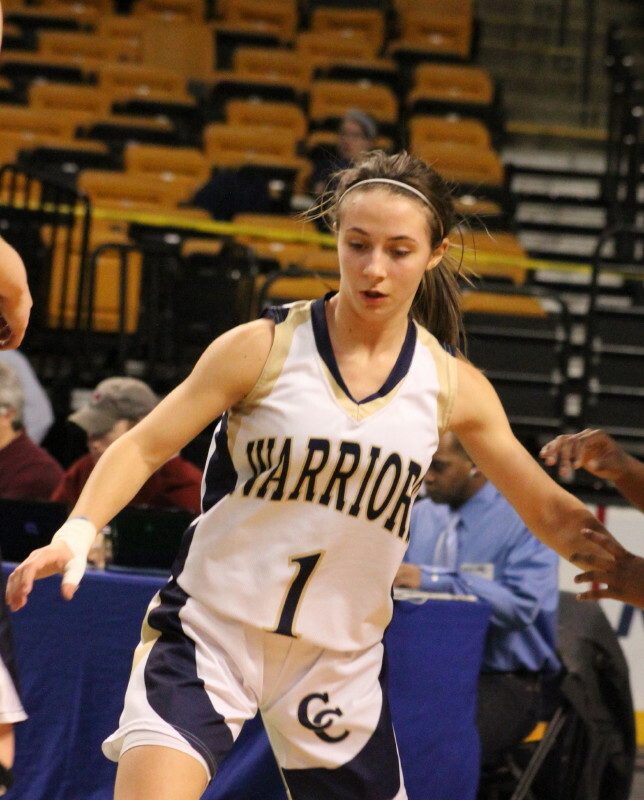 But then the Warriors, led by Brenna Gonsalves and Missy Perry (13 points), began put up points and force the Spartans into a turnover-strewn final five minutes. I overheard St. Mary’s coach Jeff Newhall say afterwards that his team shouldn’t have had trouble against the press but in front of a large crowd it sometimes feels like there are 3,000 defenders on the other team. The Spartans had seven of their miscues during the last five minutes. Two of those backcourt turnovers led to Brenna layups and a score, after the first (40-37), and the second (45-42), with three minutes left. 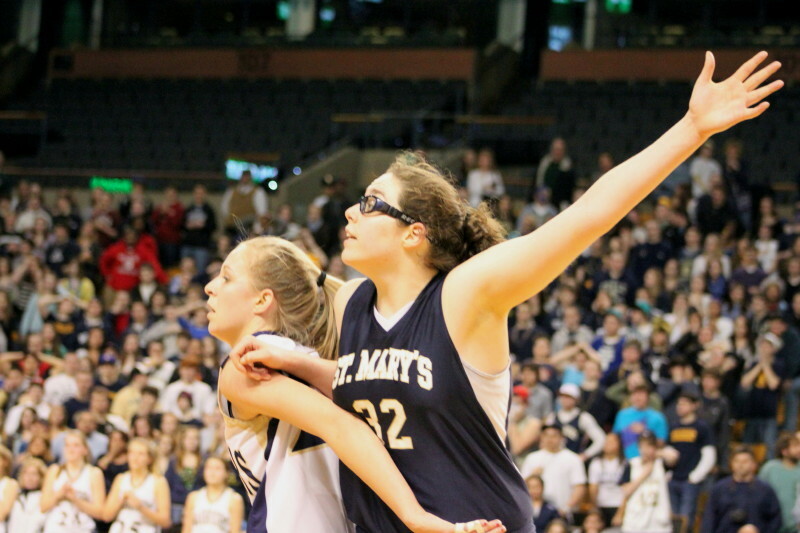 However, this was a game in which St. Mary’s always had a response to keep them in the lead. Good thing, because the challenges from Coyle to their lead kept coming. 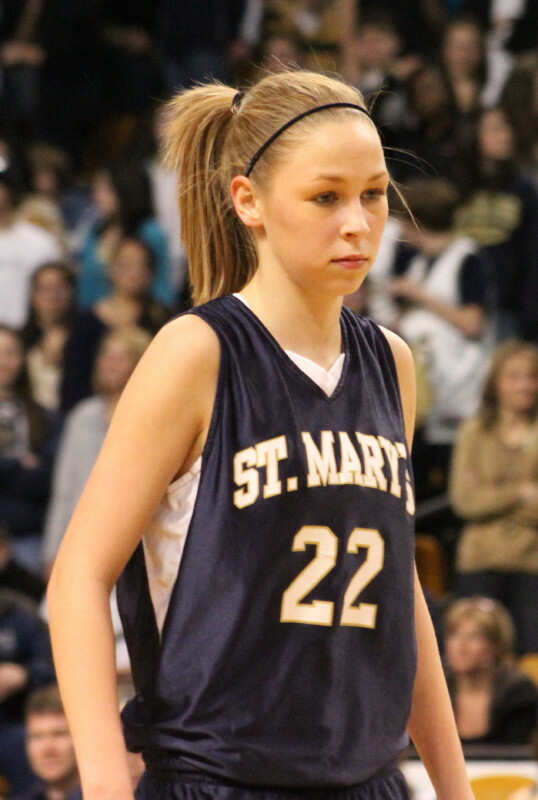 The most dangerous late-game challenge to St. Mary’s was when Brenna took the rebound of a missed free throw and dribbled the length of the court for a basket with twenty-seven seconds left, closing the gap to, 49-47. After a timeout, Brianna Rudolph (10 points) was fouled but missed both free throws. 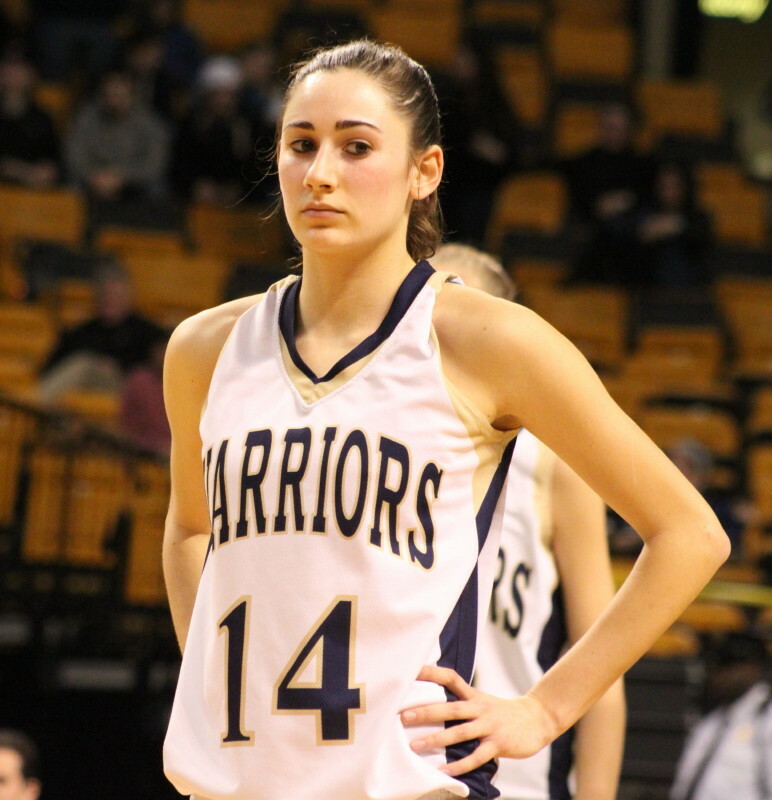 The Warriors had time (twenty-four seconds) but a traveling violation forced Coyle to foul and set up Cassi Amenta for her free throw shooting heroics. 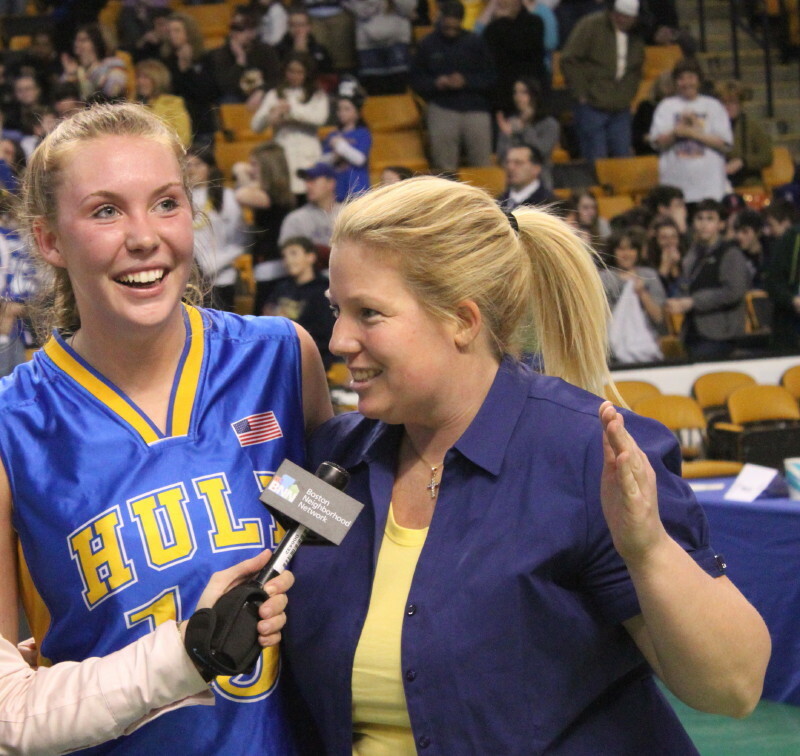 (Boston) The Hull Pirates did everything right in the last 1 ½ minutes to hold off the New Mission Titans, 59-55, and win the state championship in Division 4 on Monday night at the TD Garden. The amazing Pirate girls barely made the tournament with a 10-10 regular season record and started out as the #16 seed in the South. 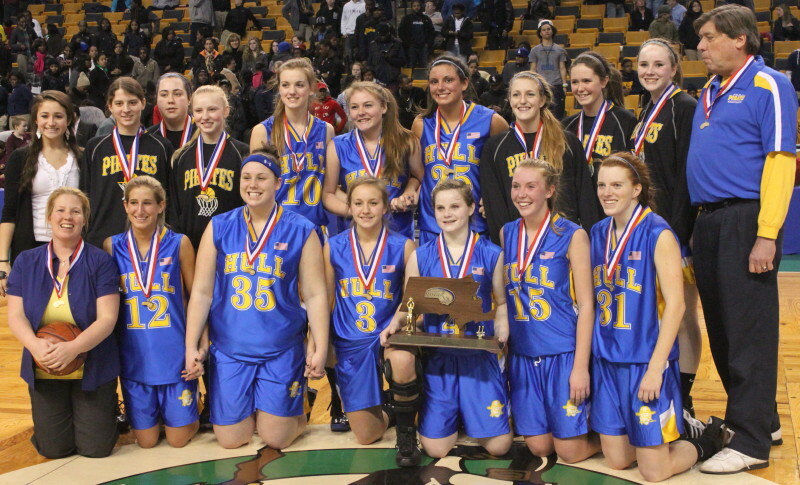 Five wins later they’re the best girls’ team in Massachusetts in Division 4. 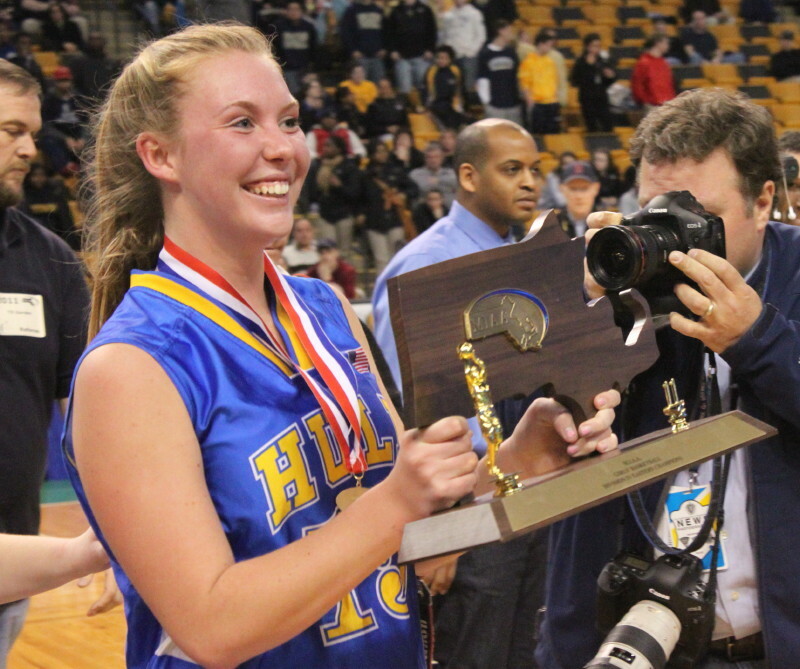 Nicole Heavern (27 points) carried the Pirates for twenty-nine of the game’s thirty-two minutes. After that it was Amy MacDonald (8 points) and Lauren Geary (12 points) making one big play after another, that brought the championship to Hull. Amy and Lauren made eight straight free throws under as big a pressure-packed setting as you could imagine. 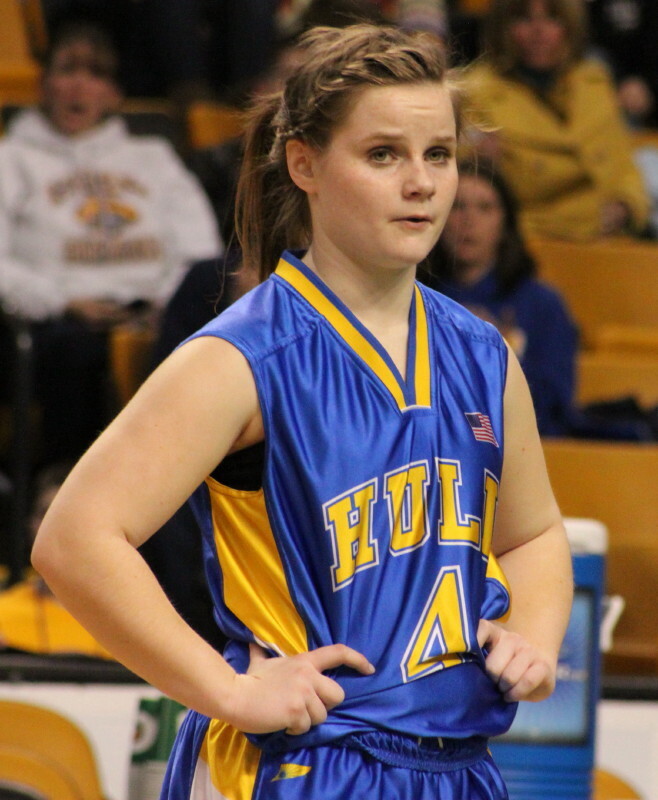 Amy followed her first pair of free throws (which gave Hull a 51-47 lead with 1 ½ minutes left) with a steal in the backcourt and a resulting layup that expanded their lead to, 53-47. 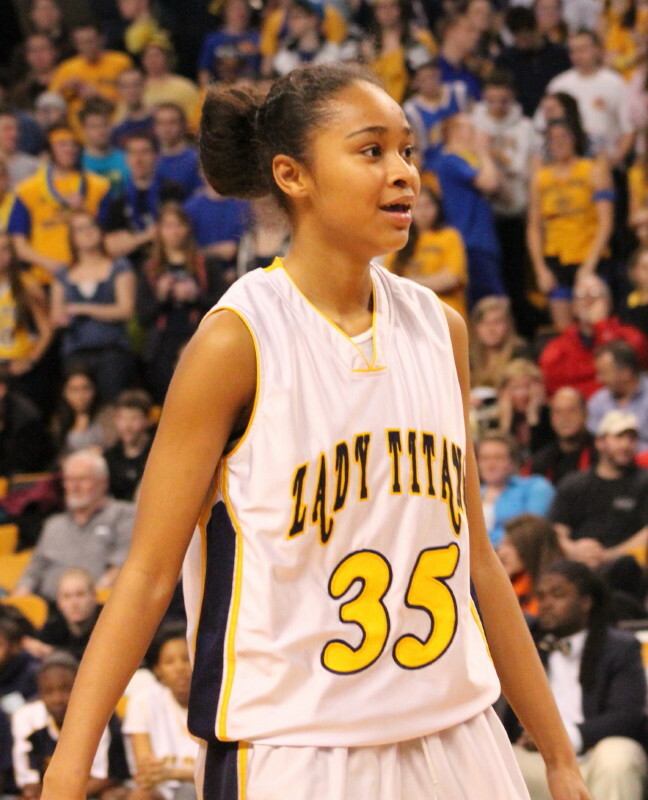 A layup by Tianna Johnson (18 points) was offset by two Lauren Geary free throws with one minute left (55-49). 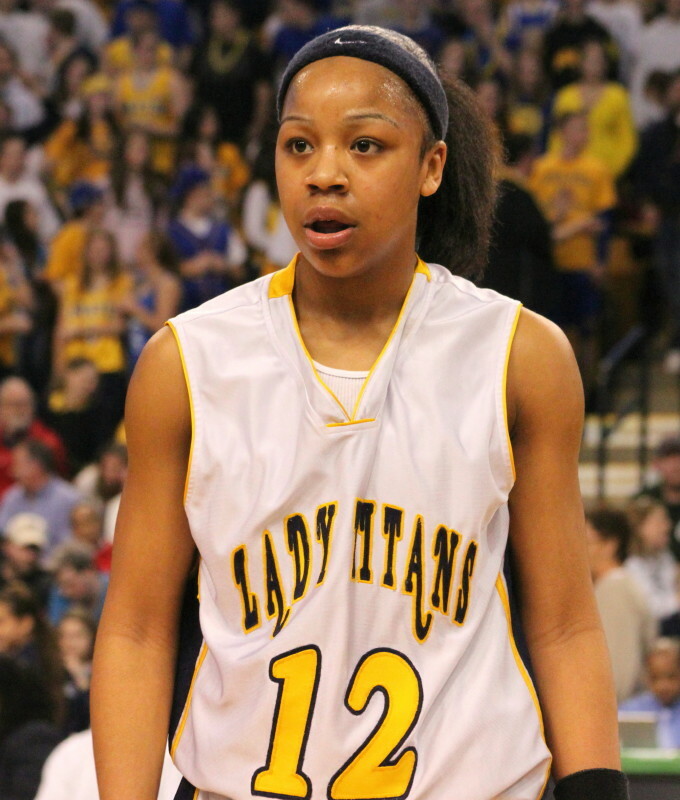 Tianna came back with a three and Lauren answered with two more free throws. This made the score 57-52 with thirty-two seconds to go. Freshman Jazuela Larguente (23 points) answered with a three before Amy delivered two game-clinching free throws with nineteen seconds left to put the score at 59-55. New Mission put up three shots in their last possession but couldn’t connect. Free throws were very important in this game. Hull came out going to the basket at almost every opportunity and New Mission picked up foul after foul. However, for most of the first half, fouling the Pirates was a good idea. They only made eight of their first eighteen attempts (they had 24 attempts in the first half) and combined with a nine-point Titan run, things balanced each other out and the score was tied (26-26) at the half. The Pirates were back at the foul line to start the second half as Nicole Heavern made two. These points turned out to be the ones that gave Hull the lead for good but just barely later on. The Pirates got up by nine (36-27) when the Titans failed to get a point in eight possessions while Hull collected eight. A key basket in this sequence was a layup by Katie Manning who was left completely alone for an easy score. Down 40-31, entering the final period, the Titans (18-6) put together a 9-2 run over 2 ½ minutes to make it 42-40 with 5 ½ minutes remaining. 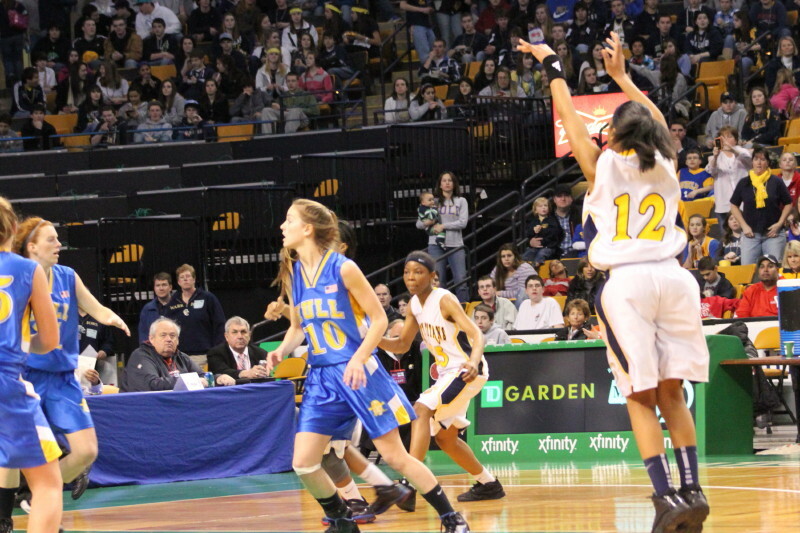 Jazuela Larguente put in a rebound and later added two free throws, gesturing to the Hull crowd after each made one. Jazuela would get the next two baskets for New Mission but a free throw by Lauren Geary and two more Nicole Heavern layups keep Hull in front (47-44) and set the stage for Lauren Geary and Amy MacDonald in the end game. 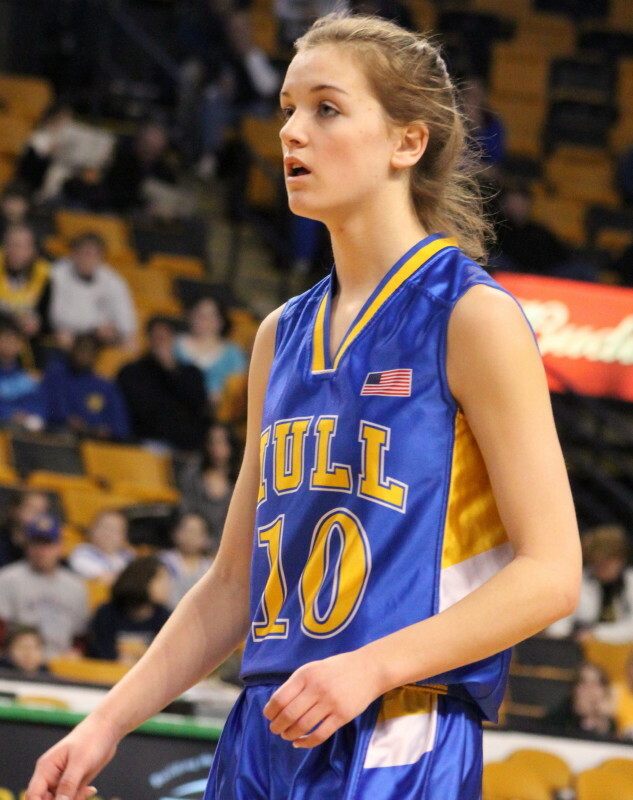 Amy scored all eight of her points in the last quarter of her final high school game.